The story behind a restaurant brand that continues to inspire us, our work, and our views on hospitality as a whole. We know what you’re thinking: Why still talk about a restaurant that opened in 1985 and just passed its 10th anniversary of being closed? 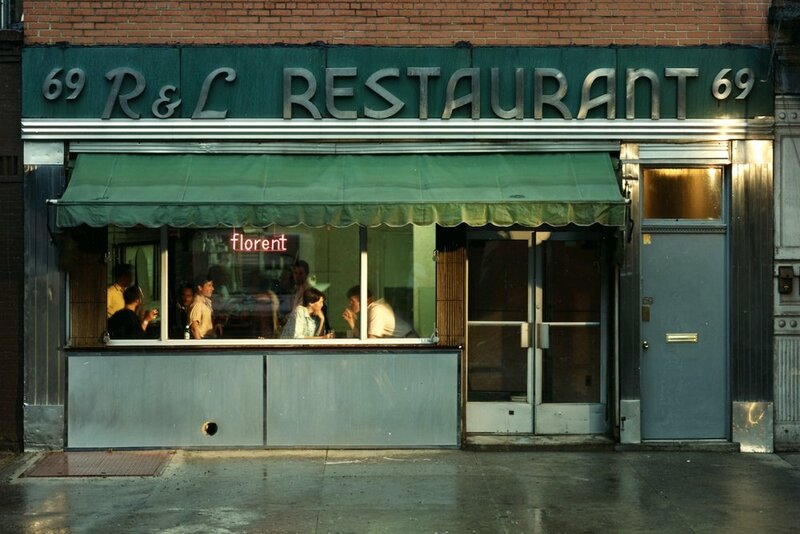 Well, besides still be extremely proud of, and still constantly amused by the fruits of our collaboration with legendary New York restauranteur Florent Morellet we believe Florent continues to represent the best of what restaurants can achieve in terms of cultural relevance, local significance, and world-wide fame. Long before Twitter, Facebook, or Instagram, we helped Florent (the man and the place) create and tell a unique, very personal story which galvanized a super-loyal, diverse community of believers from far and wide. And all the while we hardly ever spoke about the food. Rather we spoke about ideas that we believed in – from politics to personal, local causes and Washington marches, and events including both the ridiculous and the sublime. Douglas Riccardi met Florent Morellet in 1986 while working as a designer at the legendary design firm M&Co. 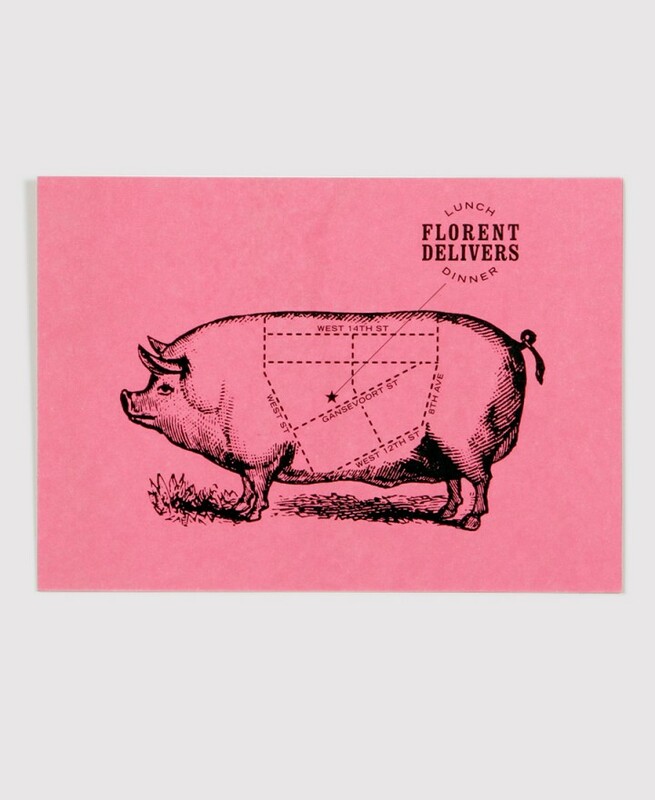 Restaurant Florent was already a thriving world-famous 24-hour French/American bistro that needed a constant evolution of its identity and restaurant branding as well as the design for menus, postcards, and posters, ads, and flyers for events at the restaurant — most notably for its “High Holy Days” of Halloween, New Year’s Eve, Bastille Day, and Oscar Night. With Florent we created an online literary journal Papotage, curated a 20th-anniversary exhibition and magazine of the restaurant, and helped conceptualize and implement the creative approach to hundreds of events for the restaurant. 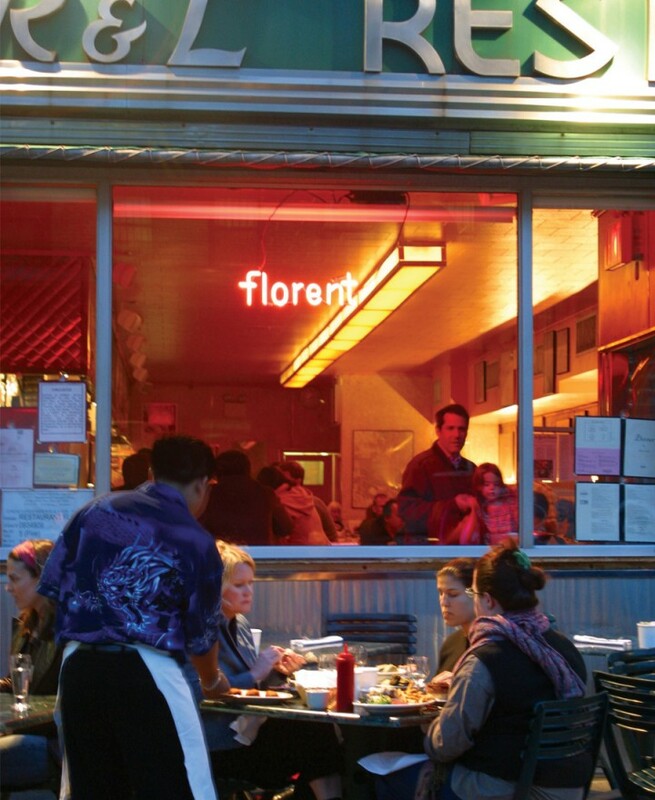 Since the restaurant’s closing, Memo regularly consults with Florent to assess the feasibility of future restaurant ventures and provides regular guidance for Florent’s artistic endeavors. Florent was a cultural touchstone for many. 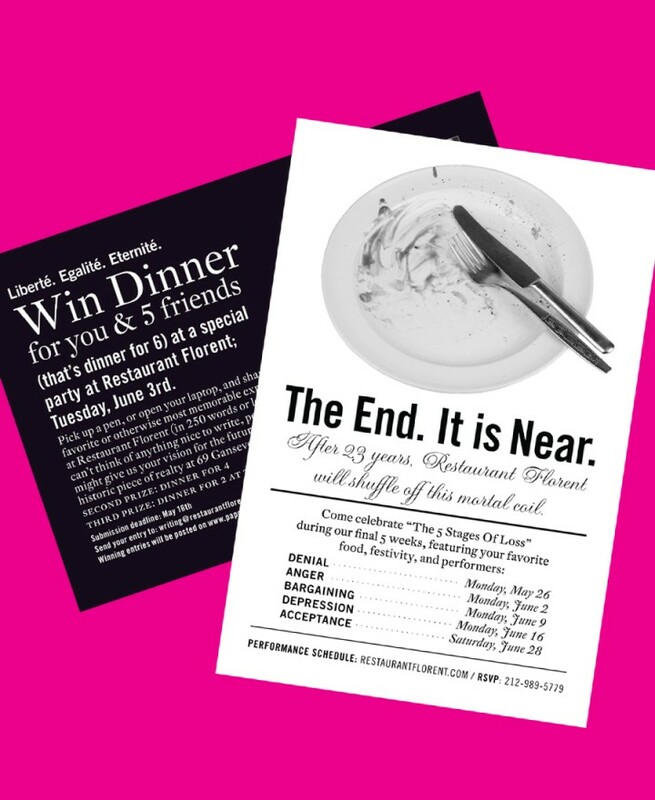 As a testament to the restaurant’s enduring place in its patrons’ lives, we helped create a month-long “Five Stages of Grief and Loss” series of events to help customers “let go” at the restaurant’s closing. It was never perfect or slick or without conflict. But it was always like home.